When the 1980s began, Mike Stanberry was running a construction company in Baton Rouge, Louisiana, with a business partner. Both had their private pilot’s licenses – Stanberry since 1973 – and, operating as subcontractors across Louisiana and into Arkansas and Texas, they decided to use airplanes to check on job sites and make sure the prime contractors were truly ready for them. Mike Stanberry started Metro Aviation out of a small hangar in Baton Rouge. This too proved cumbersome and the partners in 1981 decided to try a more direct air approach with helicopters. The sudden appearance of the company’s gas-reciprocating Enstrom attracted attention from local businesses and people who simply wanted to fly. Stanberry, who himself was learning to fly rotorcraft, realized the potential of starting up a helicopter operation. 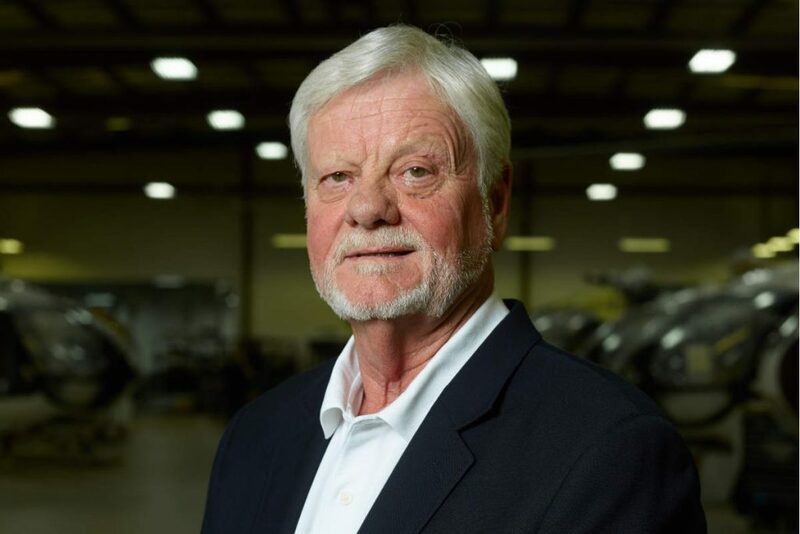 Metro Aviation was incorporated in 1982, which Stanberry took full ownership of after splitting with his business partner who continued on alone with the construction company. Metro initially operated as a charter, flight training and maintenance operation, but that changed in November 1983 when Stanberry acquired three used Hughes 500-Ds. At the time, interest rates on loans were reaching above 18 per cent and the industry was struggling. Still, Stanberry picked up the 500-Ds and eventually fly one to California to install a Litter Kit – to transport one medical patient on a secured stretcher. Metro then reached an agreement to provide helicopter ambulance services for Schumpert Medical Center in Shreveport, where the company would soon move. 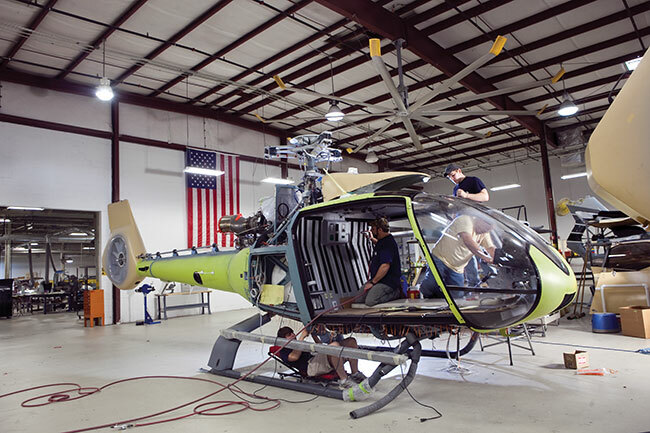 What began in a little hangar with a couple of employees and pilots has grown over the last 36 years into what many see as the Gold Standard in traditional air ambulance programs, with 140 aircraft, 900 employees – 500 of whom are pilots – and annual revenues of more than $250 million. WINGS spoke with Stanberry to learn more about the growth of Metro Aviation. How did you get through those first tough years? MS: Metro had a walloping $1 million note and each 90 days I would go down to the bank. They would tear up that note and roll the interest, which was phenomenal, into a new note. It kept growing like a snowball, but banking was not as regulated back then and there were people who helped me along the way. One of the most interesting stories is that Schumpert Medical Center was a catholic hospital and, back in those days, it was run not by business people, but by the nuns themselves. They were originally sharing their helicopter with the news station across the street, but it wasn’t long until they wanted their own aircraft. I got a bank here in town agreeing to give me a loan that amortized [a new BK 117] helicopter over a 10-year period. The hospital signed a contract. They could cancel the contract, but they would have to pay the balance of the note at the bank on the helicopter; and with that I was able to get a loan for my first BK 117. The amazing part, as if ordained by God himself – I had the contract written so the bank would loan me 100 per cent of the money, but only after I had the title of the aircraft. MBB said, ‘Fine, we will give you the title of the aircraft, but you have to make a deposit of 10 per cent down,’ which at that time was $160,000, which I didn’t have. I was at the hospital a good bit of the time flying their current Bo 105 and the sisters saw me walking the halls. One day, the head nun asked how the new helicopter was coming along… She said, ‘Mike I know you too well, come to my office, let’s have a cup of coffee.’ I told her the story and she said, ‘Well, that is not a problem.’ She picked the phone up and called the CFO of the hospital and a few minutes later he came down with a cheque made out, not to Metro Aviation, but to Mike Stanberry for $160,000 – and didn’t even ask me to sign a promissory note to pay it back. That is the kind of luck and fortune that has rained on Metro Aviation. Why is trust key to your success? MS: The main thing that I have learned is that you can only take one thing with you when you die and that is your reputation – your integrity. You just always have to be straight and honest with people. I have been successful with that mindset. I have upset some people but that is okay. There is no magic here. I am not some brilliant guy. I have just surrounded myself with extremely competent people who have made us successful. How would you describe the culture at Metro Aviation? MS: We call it the Metro family and I like to think people are family – even our customers, family through and through. I’ll give you a couple of examples: The guy who runs the engine shop, Ken Alford, has been with me for 28 years. He started off as a snotty-nose kid sweeping the floors and went into the engine shop, got his A&P and other licenses, and eventually became the engine shop manager. He is still over there today. Nick Bruton [chief inspector] is another guy that has been here from the get-go. He is retiring next June and his son has come along following what his dad does. It’s just that kind of relationship… they have determination to acquire the skills and work through it for themselves and the company. How does Metro take care of its employee family? MS: I do not know of anybody else in the industry that pays for the employee, the spouse and the dependants, all of their health care, 100 per cent. There is no payroll deduction for their insurance – pretty significant. And we have an education program here. Anybody can go out and get that college degree or their ATP if they want to increase their flying skills; and we will let them use the aircraft free of charge if they want to get an additional rating. If they want to go back to school, we will pay 50 per cent of the tuition if they get a B or better in the course and a lot of people have taken us up on that. We have a good 401k plan that, beginning in 2019, increases our match by up to seven per cent of an employee’s contribution. These are the things that family members do for each other… Metro is the only company of any size left in the industry that is not publicly traded or equity owned… We have set up a structure to carry the torch on. It is not all about money. It is about creating value for the next generation and that is what we are all about in the Metro family. How is Metro positioned on the international stage? MS: Metro has aircraft STCs or parts in six of seven continents in the world. We have people coming in here from China and New Zealand, Germany, Canada, Brazil and Argentina to the sims – doing their training. In 2016, the Helicopter Flight Training Center was recognized for 1,500 hotel-room nights here in Shreveport, which is pretty significant. How have you grown Metro? MS: We have doubled in size every five to seven years. The growth has been substantial, but it has been premeditated. We get RFPs all of the time and the first thing we do is look at the culture of the operation and see if it is going to fit well within our organization. For years, we only operated MBB Eurocopter Airbus products but in the last 10 years we started flying Bell products. We try to put a cap on the number of aircraft models we operate so it’s easier to manage things like training and spare parts. We are not trying to bid on every job that comes in. We are more centred on making sure a client’s culture fits with Metro; and it has to be a traditional program. That is another significant difference between us and the other guys – we don’t get into the billing side of things, and our client’s don’t balance bill the customer. We are a quarter of a billion dollars a year in revenue and, for 36 years, I have never put a budget together or a projection of what we are going to do one year in advance, much less three or five years. I have never had my department heads struggle trying to meet a budget. I think that stifles growth – when you start building your own little empires within the company instead of everybody pulling together as a team. Why does Metro focus on traditional air transport programs? MS: I would imagine most of these community-based models make $200,000 or $300,000 a month, so it is very lucrative and that is why you have seen such a vast expansion in the last five or 10 years of more and more aircraft in the field. It has become quite competitive and it is why flight volumes have gone down. Metro is strictly traditional in that we are not at risk. We do not depend upon flights being flown to correct revenue. We make money if the helicopter sits on the pad and doesn’t fly. It is the hospital’s job [to oversee their respective program}, but we have in the last five or six years started helping our clients with their marketing, revenue cycle and business plans. Why is safety one of your main focuses? MS: With safety, we put our money where our mouth is. We were the first major operator to equip all of our aircraft and back-up aircraft with NVGs. Then we basically brought sim training into the industry by working with Flight Safety International… [Together we] brought North America’s first full-motion, Level D sim for an EC145. You can come to Shreveport, go through our ground school, classes, and get in the sims… It would probably take you 60 to 80 hours, depending on your dexterity, and, at the end of it, the FAA can give you a check ride in the sim. If you pass everything, they would issue you an instrument rotorcraft rating without ever having taken off the ground. I wouldn’t fly with you, but that is how real it is. Why is IRIS an innovative product? IRIS is the first flight-data-recording system with audio, video and worldwide push-to-talk, so we can talk to our pilots from our operational control centre. More importantly, every 10 seconds we are getting a live health report down from the helicopter saying everything is working okay. If something goes wrong, a red light illuminates on the panel and the pilot sees it. We also see it here in our OCC and we can get on the horn and talk to them about that problem. It is a unique system that I have spent probably $20 million on. Our commitment to safety is tremendous. Are other operators using IRIS? MS: We own the system, but PHI has decided to put it in all of its aircraft, including offshore aircraft. We have one of PHI’s S76s here and we are putting a system in it to get an STC on the S76. Even though most people in the EMS business do not use S76s – probably no more than a dozen of them around the country. Air Medical Group decided to put it in their aircraft as well. We have had some other offshore operators interested in it and even manufacturers… At the end of the year, we plan to have all of Metro’s aircraft equipped with it. This is brand new technology. We are dragging this industry into the 21st century. Why do pilots like IRIS? MS: It is a get out of jail free card – if you do what you are trained to do. We have already seen that, which is why it is widely accepted. We had a particular instance where we had to do a pre-cautionary landing. I will not give you all of the details, but after an incident, the program director called us up and asked for one of the pilots to be fired, because she said he was very unprofessional and scared the hell out of her flight crew. We said, ‘Just a minute – let us take a look at the data.’ We pulled the audio and the video and the parametric data; and basically what we found is that the pilot did an absolutely superb, perfect, very professional job telling the flight crew exactly what was going on and not to be worried or scared. What is next for Metro? MS: Keep on going with our success… We have actually had clients tell us, that if you are a traditional program in the United States, there is only one choice of operators and that is Metro Aviation. It says a lot when you have the industry thinking that Metro is the Gold Standard of traditional operations.